Polanyi Appeal: A Review of Esther Meek’s Contact With Reality, David C. Winyard Sr.
Winyard, David C. “Polanyi Appeal: A Review of Esther Meek’s Contact With Reality.” Social Epistemology Review and Reply Collective 6, no. 8 (2017): 17-19. 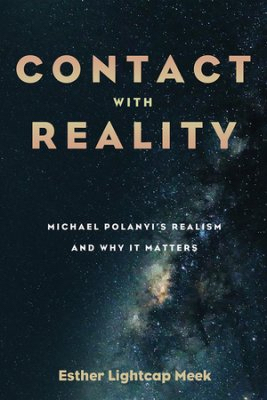 Meek’s latest book, Contact With Reality, provides background and new vistas for Covenant Epistemology by closely examining Michael Polanyi’s work to reveal his unique form of realism. Part 1, Chapters 1–11, is a lightly edited publication of Meek’s 1983 Ph.D. dissertation. Its primary purpose is to show that Polanyi held realist views, a goal reached by analyzing Polanyi’s well-known thoughts on tacit knowledge, plus the subsidiary-focal structure of knowledge and his hallmarks of discovery, especially how discoveries point toward “indeterminate future manifestations.” Meek’s dissertation concludes with an appeal to phenomenologist Maurice Merleau-Ponty to “ground” Polanyi’s realism. In both parts, Meek expresses surprise and dismay that Polanyi’s genius is not appreciated by modern epistemology, which she regards as overly focused on after-the-fact justification of scientific claims. In turn, it neglects the messy thought processes that produce new knowledge. Meek believes that the philosophy of science, by seeking some sort of positive one-to-one correspondence, overlooks the one-to-many possibilities that drive practicing scientists forward. This oversight perpetuates longstanding disconnects between philosophy and practical science. Against this philosophical rut, Meek argues that Polanyi, as a first-rate natural scientist, can bridge the gap. She recognizes that, for one reason or another, he is poorly understood and largely ignored, but she remains hopeful that Polanyi’s realism, epistemology, and ontology will be embraced. In the climactic final chapter of Contact With Reality, Meek goes beyond simply making the case for Polanyi’s relevance to argue for realism. Her launching point is the question, “have we children on modernity done a grave disservice to reality itself through our skepticism—including the very posing of the question of realism?” Meek answers this question by citing David C. Schindler’s studies of theologian Hans Urs van Balthasar, who emphasized the transcendental values of truth, goodness, and beauty above all. Enraptured by the real, Meek embraces Schindler’s conclusion that “reason must be ecstatic” and “self-transcending.” Meek’s excited advocacy for Covenant Epistemology is evident, as she appeals for a transcendent “radical attentiveness” to what reality would communicate to us, if we were not predisposed toward disbelief. Contact With Reality is an important contribution to Meek’s trademark Covenant Epistemology. By publishing and extending her 1985 dissertation, her quest for realism is clarified, especially concerning key Covenant Epistemology concepts that her earlier works introduced. I am left wondering, where will Meek go from here? My thought is that Meek would do well to connect her conceptions of personal knowledge with the social processes that account for it. If knowledge is indeed personal, then it is inherently social and not subject to mechanical logic. Social factors affect how knowledge claims—including those of Polanyi and Meek—are received. Social reality can be messy, with a large measure of irrealism in the mix. Meek’s references to Thomas Kuhn and the sociology of scientific knowledge suggest that she is aware of the herky-jerky nature of intellectual progress. Perhaps her promotion of Polanyian realism and Covenant Epistemology could benefit from a deeper appreciation of the social factors affecting their acceptance? Further, Meek’s focus on epistemology minimizes the differences between the underlying ontological commitments of Polanyi and Meek on the one hand, and those of “mainstream” epistemologists on the other. It seems that Christian presuppositions account for the mystical or spiritual elements of Polanyi’s realism and Covenant Epistemology, but Meek often leaves theological matters in the background. Only in her conclusion does theology (i.e., Schindler and Balthasar) approach center stage. This is unfortunate, for since Weber mourned modernity’s “iron cage” social science has earnestly sought ways to “re-enchant” our scientific world. Meek’s Christian approach may be more acceptable than she might anticipate. Meek, Esther Lightcap. Loving to Know: Introducing Covenant Epistemology. Eugene, OR: Cascade, 2011. Meek, Contact With Reality, “Chapter 11: Grounding Polanyi’s Realism: Merleau-Ponty,” 205–235. Dreyfus, Hubert, and Taylor, Charles. Retrieving Realism. 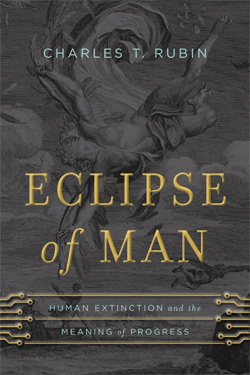 Cambridge: Harvard University Press, 2015. Meek, Contact With Reality, 259. Ibid., “Chapter 14: Recovering Realism,” 278–297.